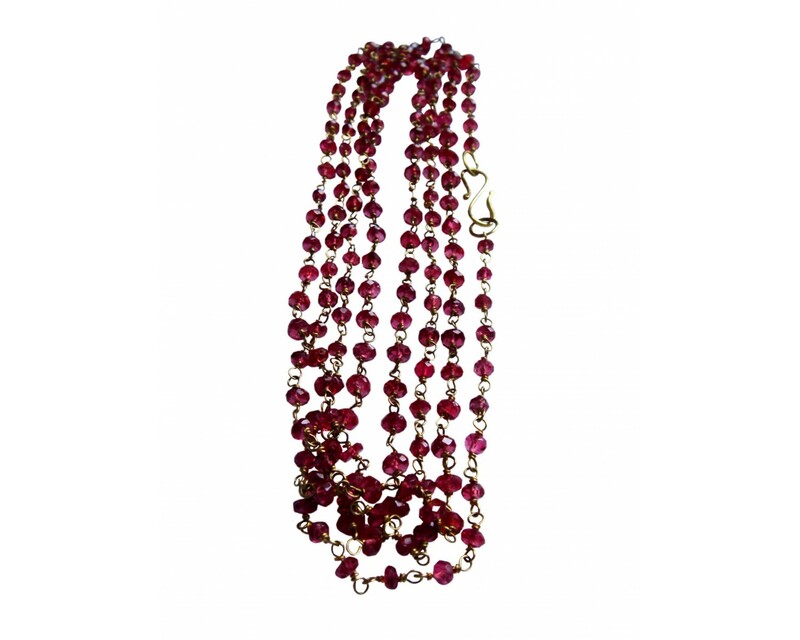 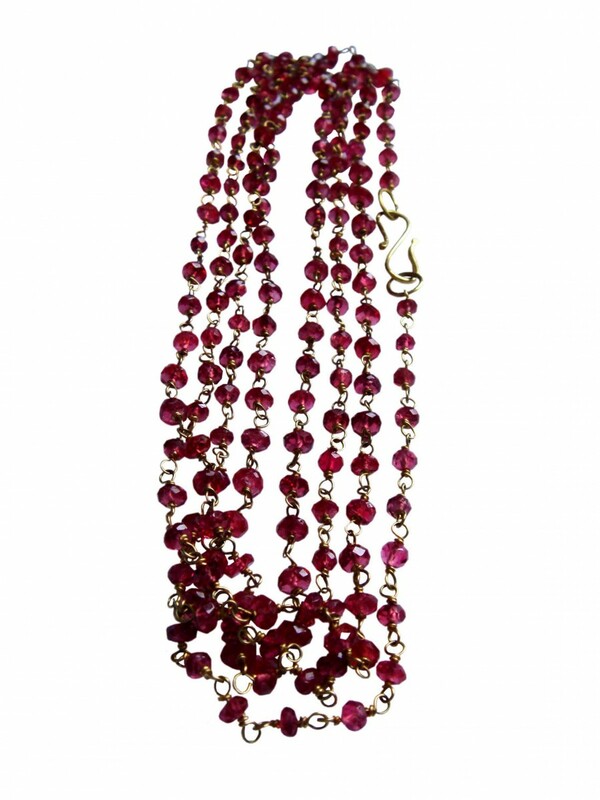 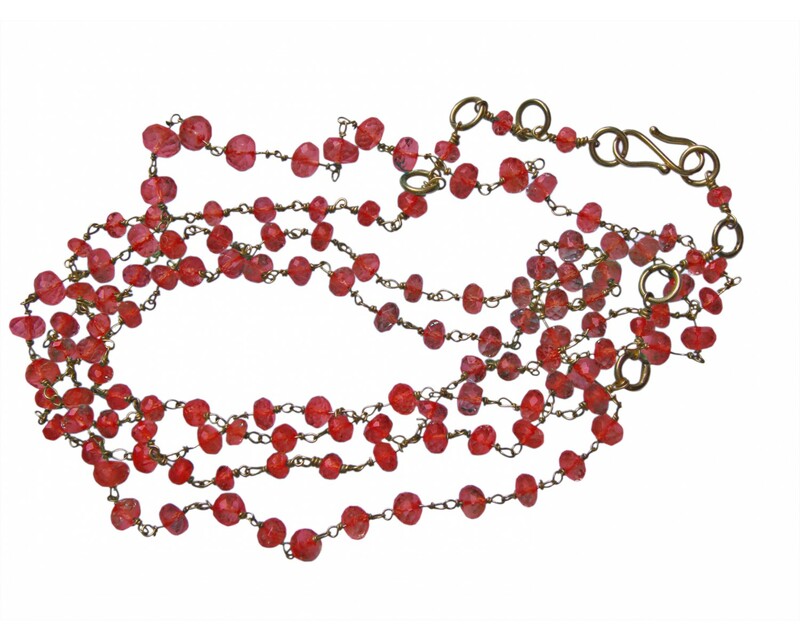 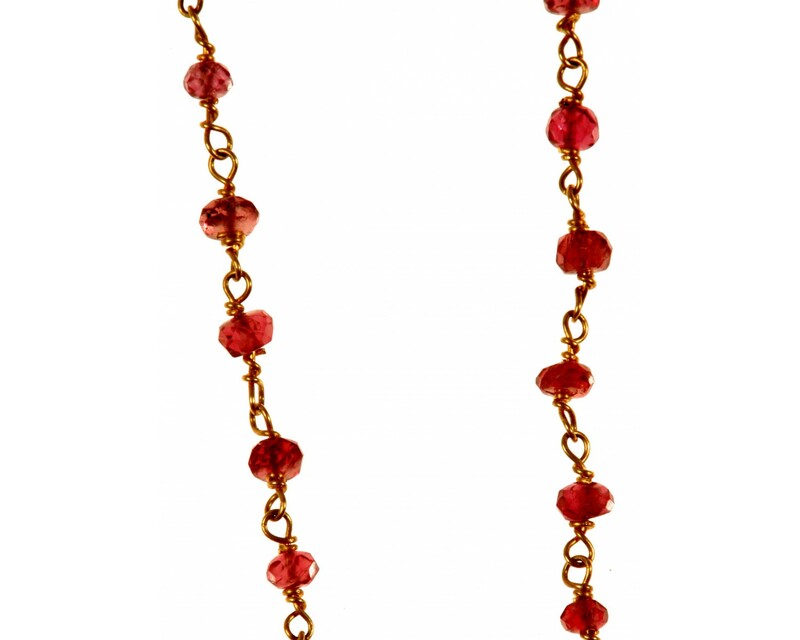 A stunning 36 inch ruby beaded necklace linked with fine 18ct yellow gold chain. 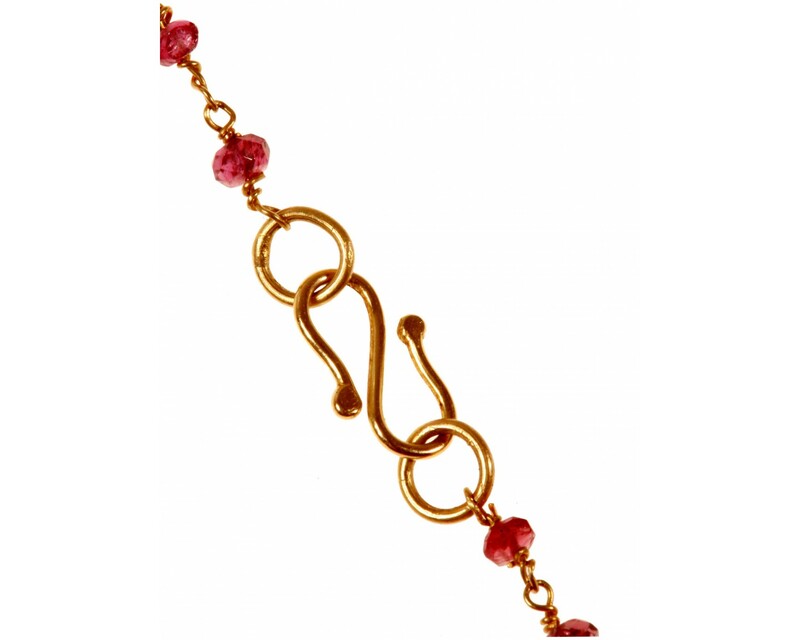 It is wonderfully delicate, elegant and bohemian. 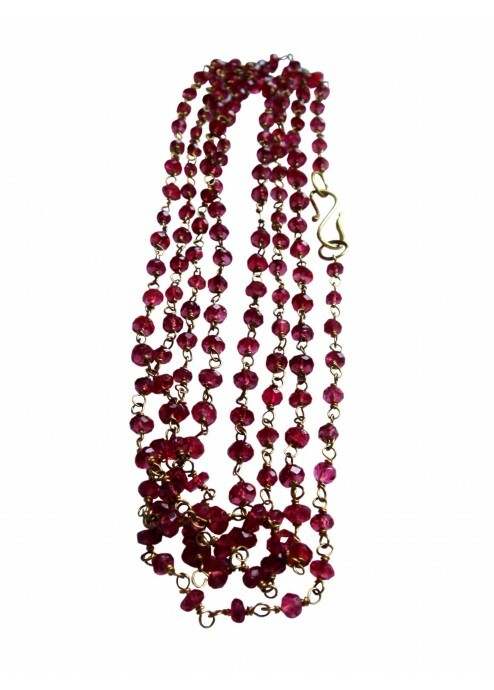 This necklace is also available in 18 inches which is priced at £675.